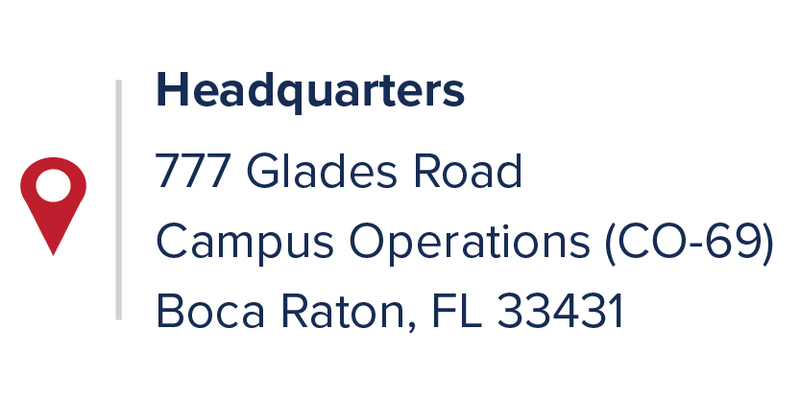 The Boca Raton Campus of Florida Atlantic University is staffed with 35 sworn law enforcement officers who are dedicated to maintaining a positive educational environment for the university community. Road patrol is the most visible presence of the Florida Atlantic University Police Department and operates with a proactive problem solving philosophy. Our officers are out in the community with their main focus on developing community partnership. This partnership leads to greater crime prevention efforts and assists us in determining community needs. Crime analysis and police officer guidance is used to confront current and anticipated criminal activity. Officers provide response to crimes in progress, calls for service, engage in traffic enforcement activities, investigate traffic crashes and conduct criminal investigations. Many of our officers hold advanced or specialized certifications. Road patrol makes use of marked police vehicles along with golf carts and walking patrols to effectively ensure safety and security for all students, faculty, staff, and visitors of the University. Officers enforce traffic laws, investigate and report criminal activity and assist crime prevention in keeping Florida Atlantic University one of the state's safest Universities. The Police Bicycle Unit consists of police officers on police package bicycles equipped to perform both emergency and non-emergency responses throughout the entire University campus. The unit provides detailed patrol through parking lots, residence halls, student apartments and inner campus and field areas where cars are not able to gain access. The Police Motor Unit consists of police officers on police package motorcycles. Because of their mobility, motorcycles are a valuable asset for traffic enforcement, traffic safety, and providing emergency response through congested traffic. In addition, motorcycles are highly mobile, fuel efficient and reduce the budgetary costs associated with operating the patrol fleet. The motorcycle officers perform many functions for the Department and the University community. As with most police motorcycle units, traffic and parking enforcement on campus is the primary function of this specialized unit. Officers also provide security throughout the campus and patrol in areas to monitor and provide safety and security information to bicyclists and pedestrians in high traffic areas. 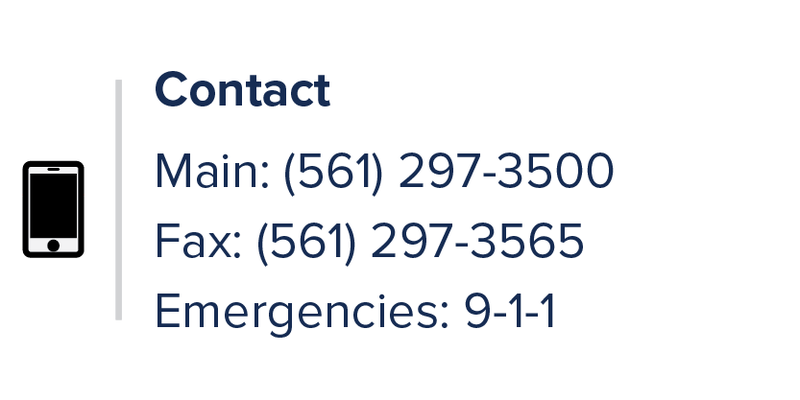 On the Boca Raton Campus, we utilize the support of Boca Raton Police Department's services if necessary. The MacArthur Campus, located in Jupiter, Florida, is staffed with sworn law enforcement officers. The campus is commanded by a lieutenant who is supported by a sergeant and police officers. The campus is patrolled 24/7 and is supported by the Jupiter Police Department. There are no non-sworn support staff on the MacArthur Campus; however, there is a residential hall that houses approximately 300 students. Within the resident halls, there are eight efficiency apartments that are rented to visiting professors, intern students, and others from the community. Located on the John D. MacArthur Campus is Scripps Florida and Max Planck (two of the world’s premier research institutions). Like the Boca Raton Campus, the MacArthur campus has the Lifelong Learning Society which is located in the Maltz Center for Education. The MacArthur campus is smaller in size than the Boca Raton Campus with few roads; so much of the patrolling is done on foot. The Harbor Branch Oceanographic Institute (HBOI) Campus is staffed by nine full time employees. 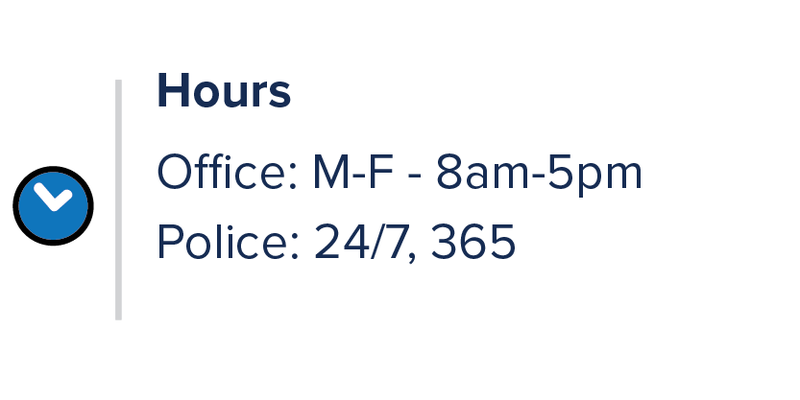 There are two sworn personnel, a lieutenant and a police officer, a non-sworn PST supervisor and six non-sworn Police Service Technicians (PSTs) who provide 24/7 coverage of the campus. The Harbor Branch Campus is located in St. Lucie County on the eastern shore and is considered a Homeland Security point of entry. The United States Coast Guard along with the Florida Fish and Wildlife Commission work in conjunction with our staff to conduct inspections as well as maintain a secure environment for research being conducted on the campus. The FAU Broward Campus consists of three locations, serving more than 5,000 students; The Davie Campus which is located in the center of Broward County and paired with the Broward College Central Campus in the city of Davie, the SeaTech Campus which is located in Dania Beach and serves Graduate and PhD students in the Department of Ocean & Mechanical Engineering, and the Ft. Lauderdale campus which is the School of Architecture. FAU Broward is staffed with ten non-sworn Police Service Technicians (PSTs) including a PST supervisor and two sworn police officers; all commanded by a sworn Police Lieutenant. The PSTs work eight-hour shifts to provide 24/7 coverage at the Davie & SeaTech campuses. PSTs strategically patrol the building and parking lot of the Ft. Lauderdale campus to conduct parking enforcement and campus security is provided by Broward College Security. The duties of the PSTs and police officers are to provide assistance to the students, faculty, staff, and visitors while on campus. They also assist with traffic control and enforcement, responding to incidents, and patroling the campus to provide a visible presence for crime deterrence and to help encourage a safe environment. The PSTs assist the Davie Campus Student Government with their Night Owls Program providing escorts to and from buildings. Additional PST duties include battery boosts and vehicle lockouts. On the Davie campus, we are partnered with the Davie Police Department which has officers assigned as School Resource Officers to Broward College. On the Ft. Lauderdale Campus, we are partnered with the Ft. Lauderdale Police Department which has an officer stationed on the campus. On the SeaTech Campus in Dania Beach, we are partnered with Broward Sheriff’s Office.